All I can say is... Thank God it's Friday! Tonight we are flying off to the Canadian Prairies for yet another wedding. If you are already sick of me talking about weddings, I'm sorry, but gear up as I'm also making July somewhat of a wedding month (it's our upcoming one year wedding anniversary, yay!). I just can't help it, knowing how much blood, sweat and tears go into planning weddings, I have a deep appreciation for gorgeous weddings that have every detail pulled together. 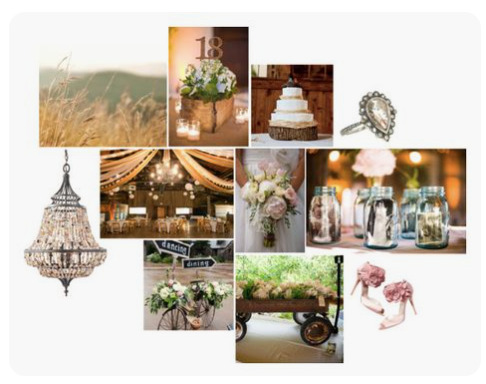 I'm imagining a rustic chic wedding with tons of vintage and glam details for this weekend, but it's also exciting to think that this wedding is going to be super chic and modern, completely different from what I'm stereotyping the prairies with. I guess I'll find out soon enough, till then, have a great weekend!